91% of home buyers said school boundaries were important when searching for homes. One out of five home buyers would pay six to 10 percent above their budget for the right school. One out of 10 home buyers would go so far as to pay up to 20 percent more than what their budget afforded. These are understandable statistics when you consider that children who don’t graduate high school can expect an average annual income of $20,000. Another factor to consider is how crime rate and the quality of the school system go hand-in-hand. Both of these have a huge impact on a home’s value. People aren’t just buying a home, they’re buying a future for their children.Buyers want to maximize their investment as much as possible and investing in their children’s future is a huge part of that investment. With the importance of schools at the forefront of your buyers’ minds, it’s important for you as a real estate agent to have a strong working knowledge of the school districts in your territory. Keep in mind the amount of elementary, middle, and high schools in your area; and, you should know about any private or charter schools and their tuition rates as well. Be aware of district boundaries and school boundaries. On certain streets, one side goes to one school and the other side of the street is designated for the other school. You should stay informed on the graduation and testing rates for the district, as well as, the student to faculty ratio. Other helpful information you can inform your clients on is the presence of art and athletic programs in your local schools. These extracurricular programs are crucial for students looking to distinguish themselves when applying for college, and parents will want schools that have these programs. 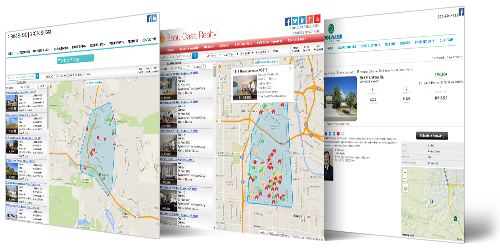 If you have a realty website, it would be beneficial to create specific pages dedicated to homes in the school districts in your area. You should also have maps where the location of all the local schools is marked. Another idea is to have links, or dedicated pages, detailing the districts’ and schools’ information. Make this information readily accessible, whether it’s on your site, or in person as an informative pamphlet that you include with information on the home itself. This information is as important as the number of rooms in a home so get it out there. The quality of the local school system can be a huge selling point to your clients and might even help convince any buyers who are on the fence about a home or neighborhood. By taking the time to educate yourself and your clients on this very important consideration when buying a home, you gain value as an asset to your clients. Your clients will be more likely to come back to you, and you are more likely to get referrals and new clients who value your knowledge of your territory. 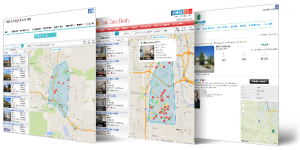 Realty is a competitive business, the more you educate yourself on your area the more you will set yourself apart from the pack as a valuable resource to clients.